After recording the highest temperatures in nearly a century during the month of January, the Rio de Janeiro Metropolitan Region was inundated by a torrential storm causing landslides, destroying homes, and killing at least six people on Wednesday night, February 6. In one hour Rio de Janeiro received the equivalent of one month’s rainfall. Among severely impacted areas are the favelas of Rocinha and Vidigal, both of which are located in Rio’s South Zone. This article is a compilation of two reports from favela news sources. 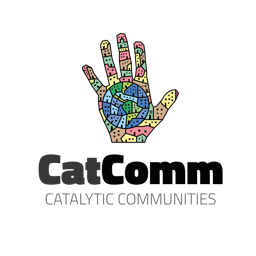 For the original article in Portuguese (first below) by Karen Melo published by Agência de Notícias das Favelas click here, and for the original article in Portuguese (second below) by Melissa Cannabrava published by Voz das Comunidades click here. Five* people have been killed and one has gone missing following Wednesday night’s storm in the Rio de Janeiro Metropolitan Region. The rain, accompanied by strong winds, caused blackouts, knocked down trees, flooded streets, and brought much pain and heartache to local residents. At 10:15pm, Rio’s Center of Operations issued a crisis alert as areas of the city faced severe and unsafe conditions. This is the highest of three alert levels on the Center of Operations’ weather scale, indicating strong to very strong rains in the hours that follow, with potential flooding and mudslides. In the Rocinha favela, in Rio’s South Zone, the situation was desperate as several cars and even one resident—who survived—were swept away by the force of the water. Cars parked on hillsides were thrown against one another. One taxi was dragged down 300 meters from the highest part of the favela. According to residents, practically the entire vehicle was inundated. In Complexo do Alemão, in Rio’s North Zone, strong winds broke a cable on the community’s cable car, but no one was physically harmed. In Vidigal, in the South Zone, a landslide destroyed several houses. Rio City authorities have warned residents living in areas of risk to take shelter. The storm resulted in five* deaths and one missing person, sixty uprooted trees, many flooded roads, and multiple mudslides. “We are warning people living in areas deemed unsafe to not stay there. It will rain again this evening [Thursday, February 7]. And while meteorologists say that today’s rains will not be as strong as yesterday’s, it is important to take precautions. In at-risk areas where the ground is totally soaked, there is the danger of trees falling on houses. We have protocols and procedures in place to help people living on slopes and other at-risk areas get out,” stated Rio’s mayor, Marcelo Crivella. With winds reaching more than 100km per hour, the storm that hit Rio left many families homeless in the early hours of Thursday, February 7. Rocinha is one of the communities suffering most from the destruction caused by the rain. 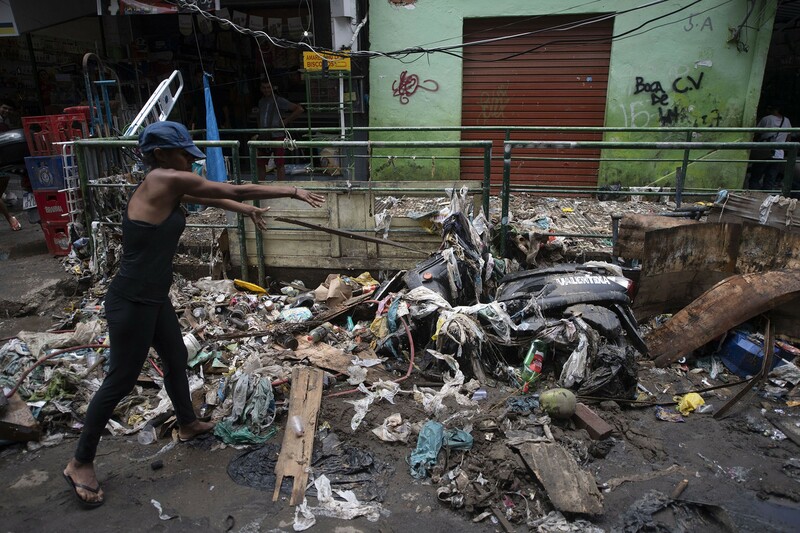 In addition to flooded houses and a lot of mud, the favela’s streets were inundated with garbage. “I don’t see residents take their kids to school. They would have to come down [the hill] with boots on! It’s better to stay home because it’s impossible to walk here. So much garbage! 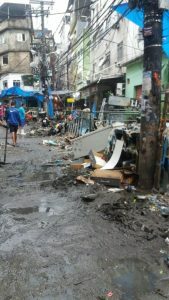 Those who live next to the canal suffered most,” commented a resident in a video published on the Rocinha em Foco Facebook page. “After yesterday’s rain, there was a trail of destruction, damage, and sadness for the families in our community who have lost their homes,” the resident said. “Many people slept on the streets. The Social Assistance Reference Center (CRAS) is on alert. As the rain passes, people are returning to their homes and removing the mud to assess the damage. We are hoping that everything gets back to normal soon. Right now we need to hope for no more rain like that today,” said a resident in the Voz da Comunidades WhatsApp chat group. According to the weather site ClimaTempo, areas of instability will persist over the state of Rio and the shifting of rain clouds will be slow, with forecasts of several hours of moderate and persistent rain throughout the day. It’s recommended that residents in vulnerable locations move to emergency relief sites and safer areas. *Authorities confirmed at least six deaths as of February 7—one in Rocinha, one in Vidigal, two on Avenida Niemeyer, and two in Barra de Guaratiba. This article was written by Karen Melo, Melissa Cannabrava, and published on February 8, 2019.